Experience warm hospitality and grand welcome with your stay at Royal Reve Hotel. 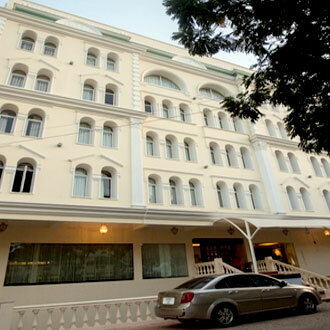 This hotel in Hyderabad strategically located in Secunderabad and at a distance of 7 kilometers from the Birla Mandir. The hotel boasts of 60 elegant in its decor rooms spread across five floors. A well-decorated dining outlet pampers your taste buds. The most celebrated feature are its well-equipped and spacious banquet halls.